LA County Fair Ends Sept. 28 -- Don't Miss It! When it comes to grub at county fairs after a while bacon wrapped EVERYTHING just gets old for this LatinoFoodie. I can hear some of my friends and cousins moan because they love bacon wrapped EVERYTHING. So when we got invited to visit the Los Angeles County Fair this weekend, I made it a point to seek out something beyond deep fried Doritos and Oreo’s. Guess what? We found some great new items, like a wild caught Canadian lobster quesadilla with smoked bacon and four different cheeses, and a flat bread with Spanish chorizo and roasted peppers. But, hey, I’m at the LA County Fair. A place I grew up going to every year. My mom’s side of the family in Pomona has worked there for generations. It wouldn’t be the same without some cotton candy and an over-sized turkey leg. But, it was something else that caught my attention this year. I swear those flashing funnel cake lights lured me to the cart like when I hold a treat out for my dog Pork Chop and his tail starts wagging in excitement. Yep, that was me! A tail-wagging foodie! There we were, two foodies standing over a flimsy paper plate with white powdered sugar sprinkled on our shirts. In that moment then and there it all came home for me. 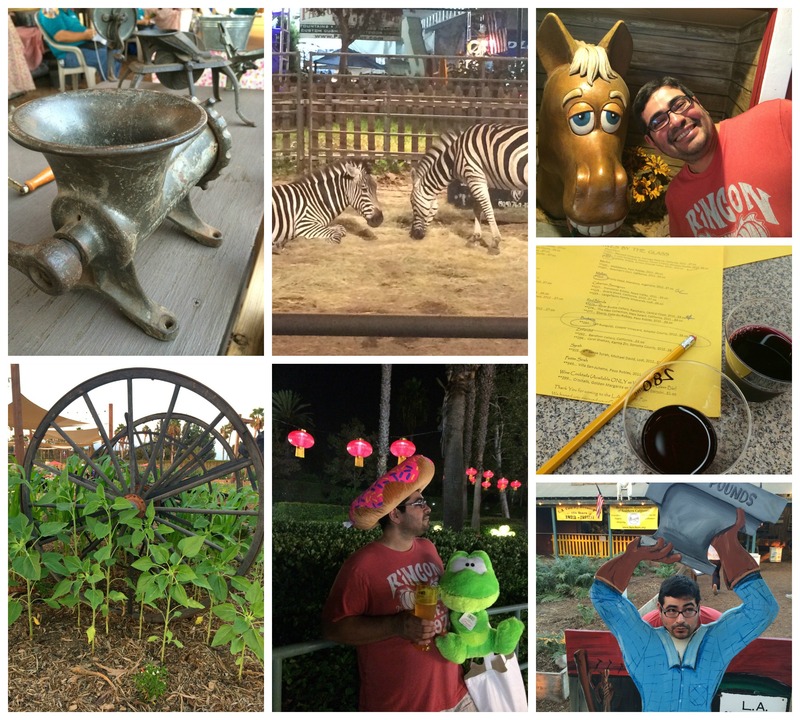 Memories flooded my mind and filled my heart from being with my family at the fair. The maple bacon funnel cake was like a bite of a sweet Sunday brunch. We shared the funnel cake as we did most dishes, but I wanted more. I got myself another beer instead. What can I say? Priorities. 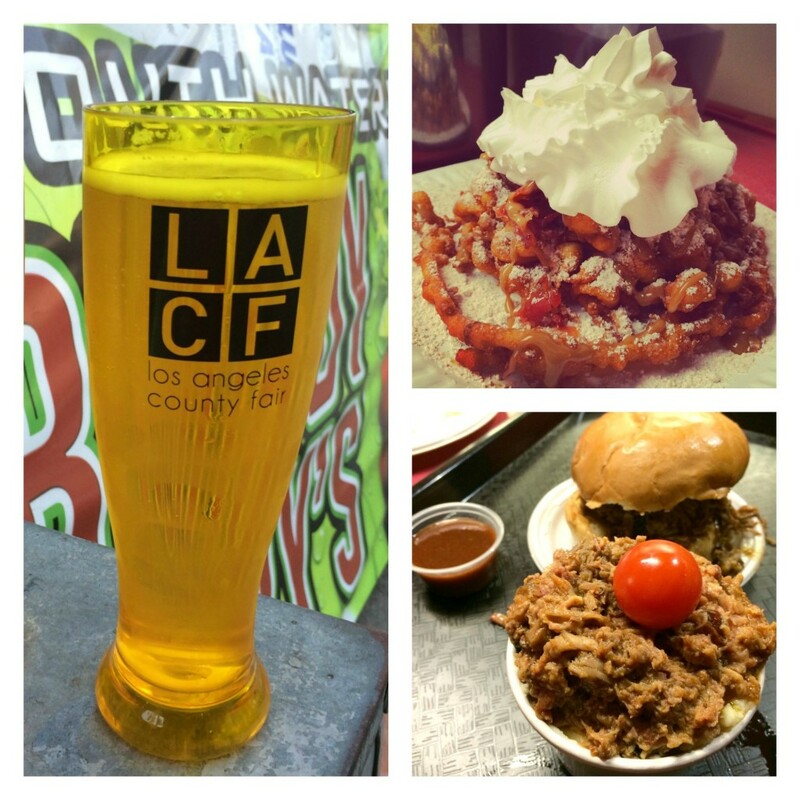 If you’re in the LA area and still haven’t gone to the LA County Fair, what are you waiting for? It closes on Sept. 28 and there’s more to fair food than bacon wrapped EVERYTHING. But, hey, no one is judging! LACF started on a farm in Pomona with farmers so it was appropriate that Art and I kicked back here probably a little longer than anywhere else at the fair. Well, with the exception of the wine and beer tasting pavilion. We always land up there… for a LONG TIME. 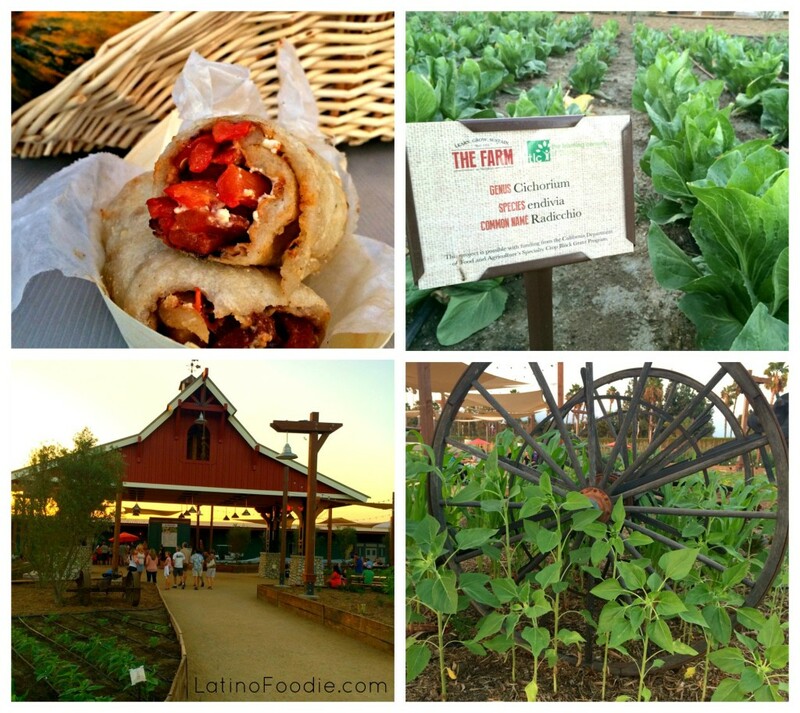 LACF significantly expanded The Farm by adding four more acres of crops and interactive guest experiences. We learned from LACF that the Farm is expanding its role as a year-round, hands on community resource and center of learning. What a smart idea! 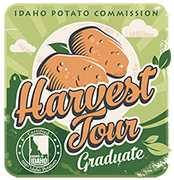 It’s mission is to teach all ages lessons about sustainability, healthy eating, crop growing and the basics of how food is produced, grown, gathered and delivered. We’re definitely behind this initiative 100 percent! We meandered through crops of growing carrots, beets, artichokes and strawberries, and headed straight to The Farm Kitchen where we sampled a Spanish chorizo and roasted pepper grilled flat bread. From the tall glasses of beer to a pulled pork “sundae” (bbq pulled pork in a cup of mashed potatoes and topped with a cherry tomato), we had a chance to taste and enjoy a great evening of fun.